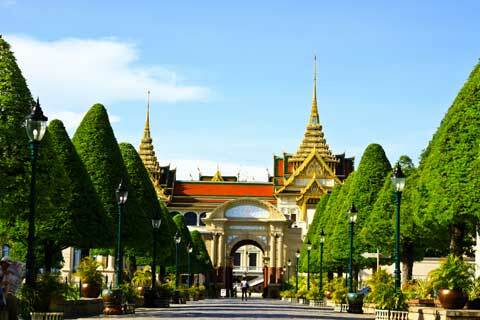 08:30 Meet our staff in the hotel’s lobby. 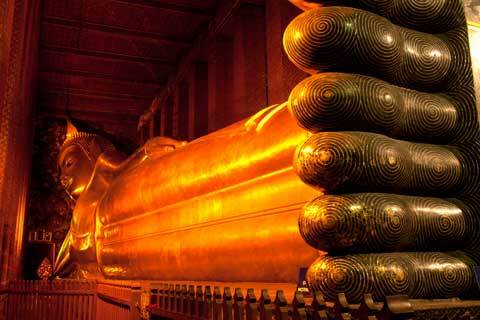 Depart from hotel to Wat Pho. 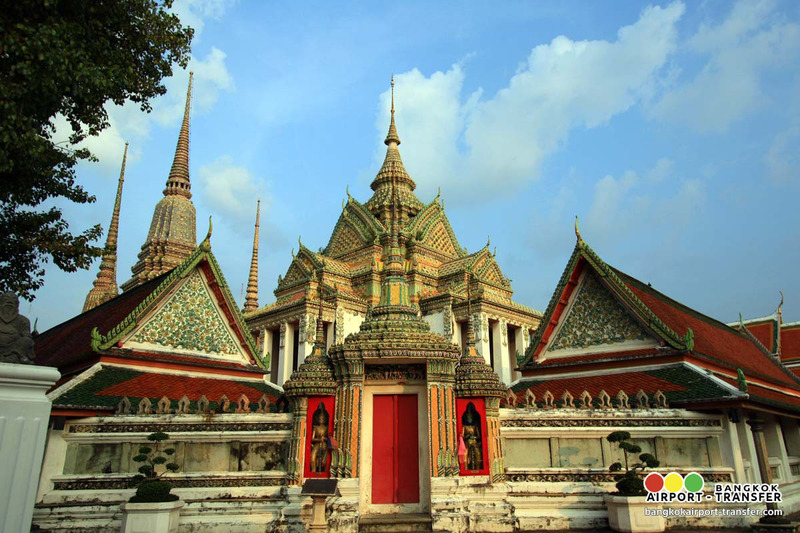 09:00 Visit Wat Phra Chetuphon Wimonmangkalaram or Wat Pho, as it’s commonly known, was built in the 16th century and regarded as the royal temple of the reign of King Rama I, is famous for two things: (1) the 46-meter-long Reclining Buddha built in 1832 featuring the feet beautifully inlaid with mother-of-pearls and (2) the Thai massage. 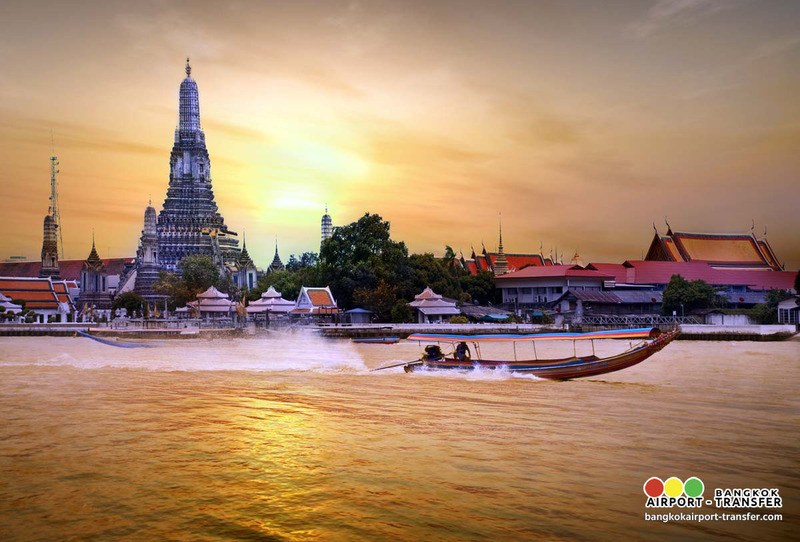 10:00 Arrive at Chao Phraya River and then take public ferry to visit Wat Arun, The Temple of Dawn, the Temple of Dawn, The statuesque pagoda of Wat Arun, or The Temple of Dawn, on the bank of Chao Phraya has always been the most remembered scene of Bangkok’s skyline for ages. 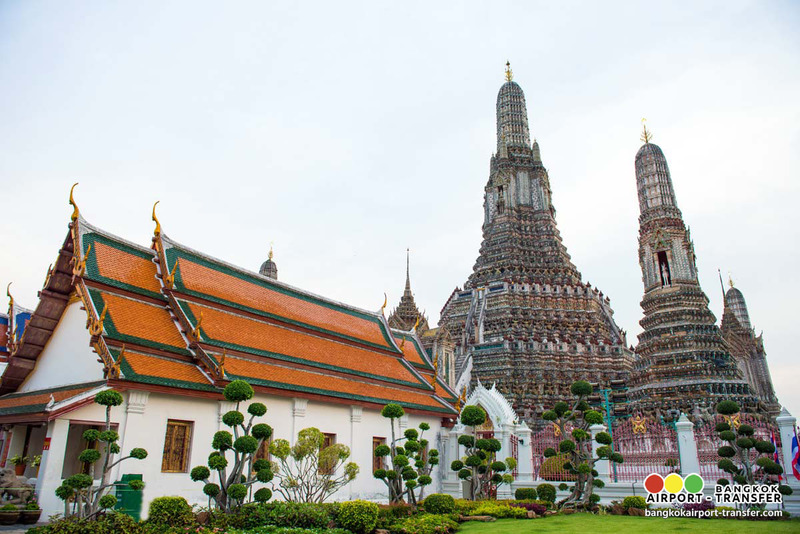 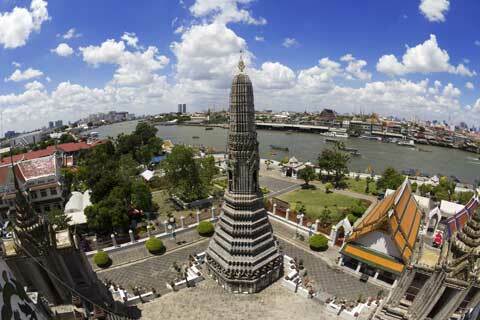 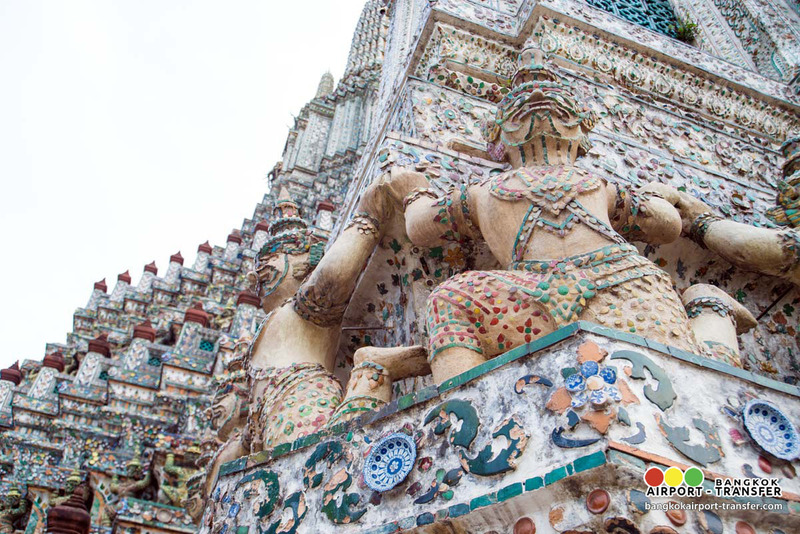 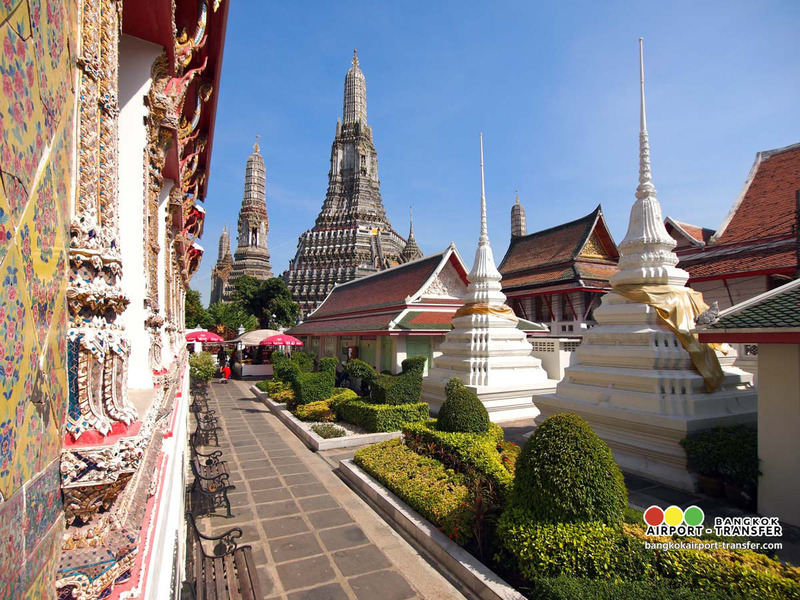 It is believed that Wat Arun was built during Ayutthaya era and is better known from its other name: Wat Chaeng, which means the Temple of Dawn. 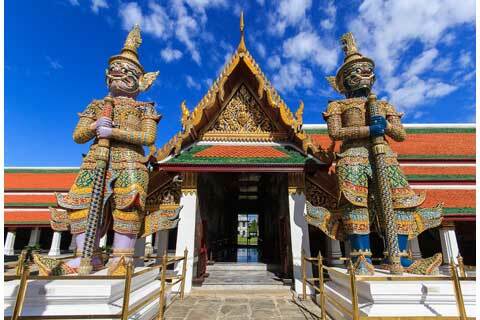 11:00 Visit Wat Phra Si Rattana Satsadaram or the Temple of the Emerald Buddha is the official name of Wat Phra Kaew, the royal monastery situated on the northeastern/ northwestern corner of the Grand Palace in Bangkok. 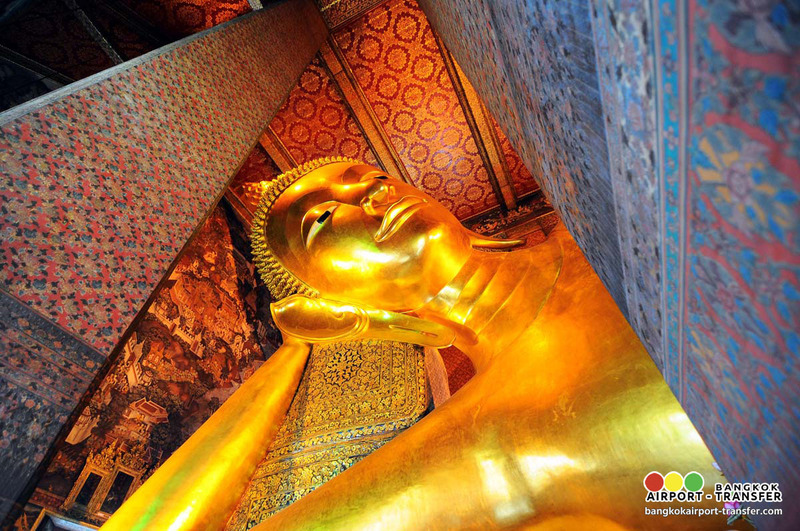 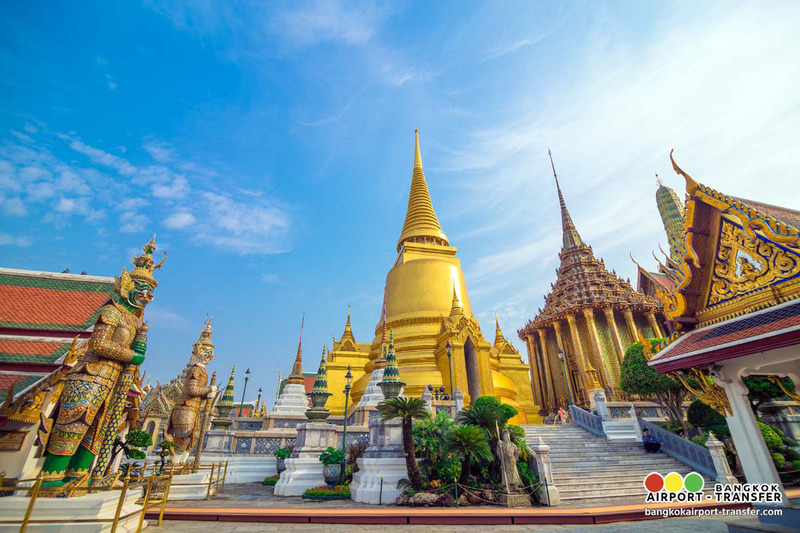 It houses the statue of Phra Phuttha Maha Mani Rattana Patimakon (Emerald Buddha) and is the place where significant religious ceremonies are conducted. 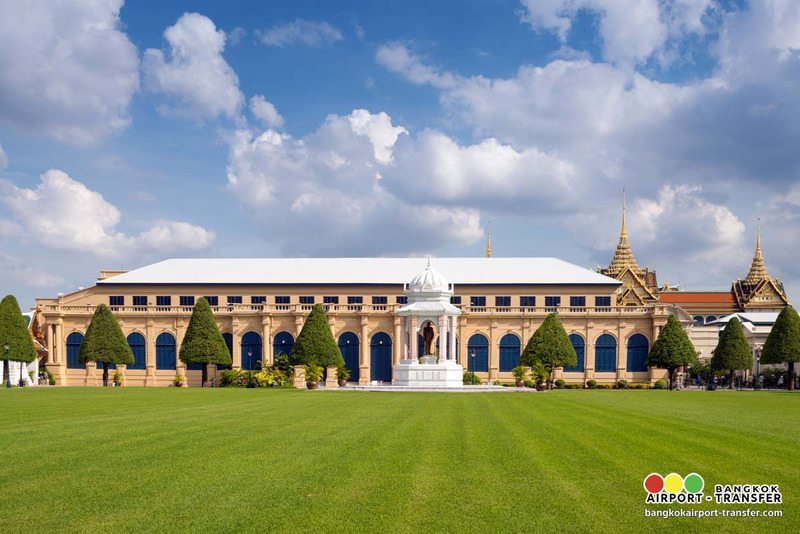 The construction of the temple was completed in 1784 and there have been constant renovations during every reign from King Rama I to IX. 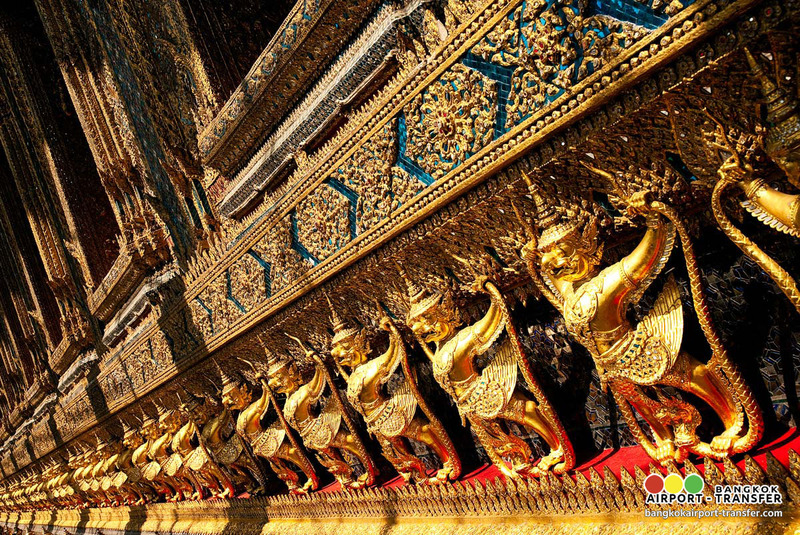 The interior of the Ubosoth and the entire compound walls are decorated with mural paintings. 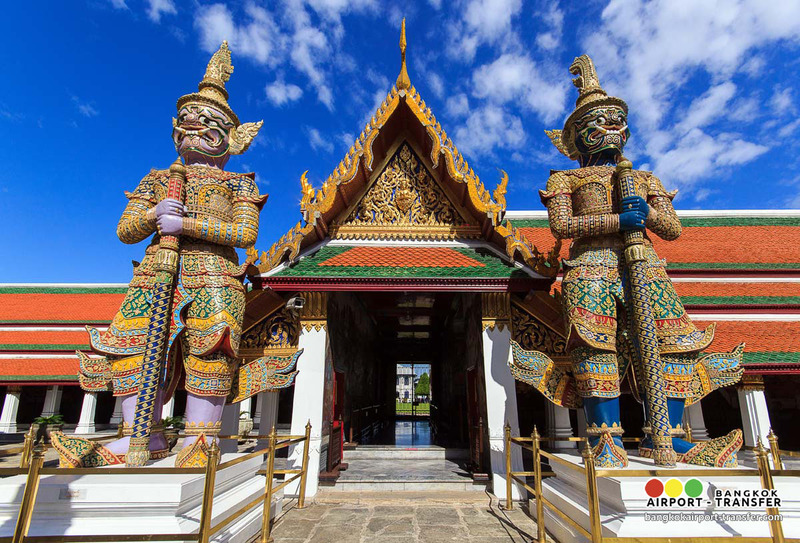 Apart from these, other highlights within the temple include the eight stupas, Phra Si Ratana Chedi, the model of Angor Wat, etc. 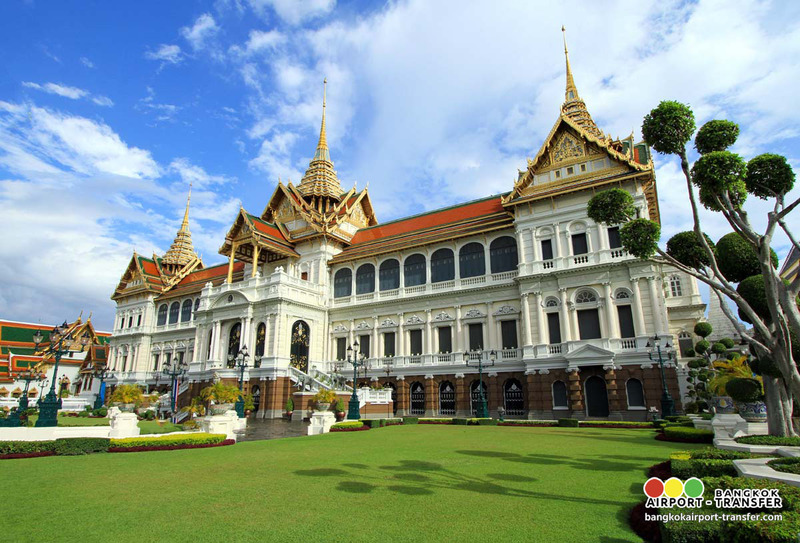 Visit The Grand Palace, began in 1782 during the reign of King Rama I, the founder of Chakri Dynasty, to become a royal residence, and it has been the utmost architectural symbol of Thailand ever since. 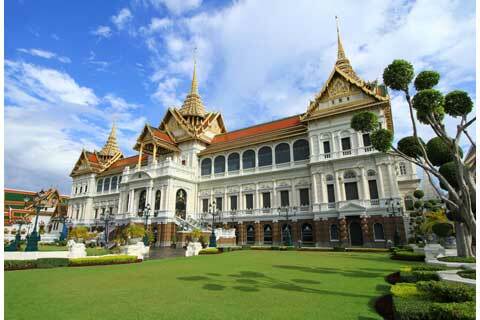 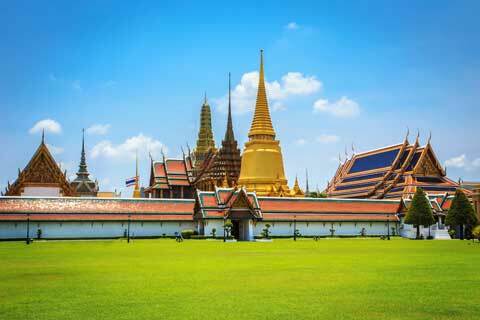 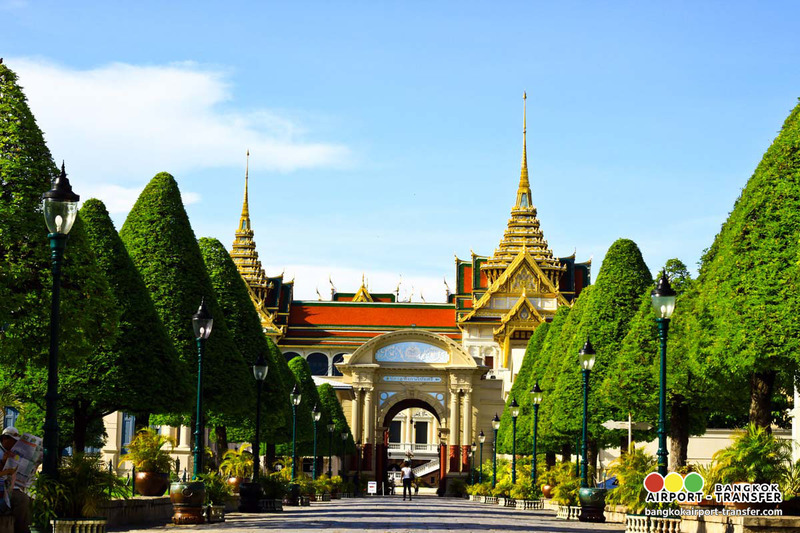 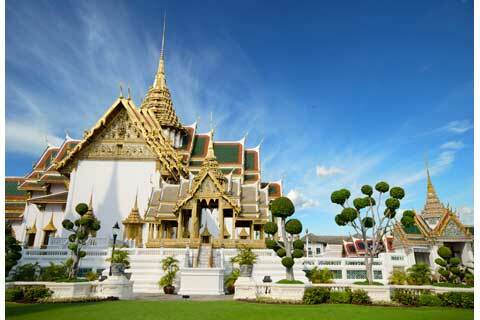 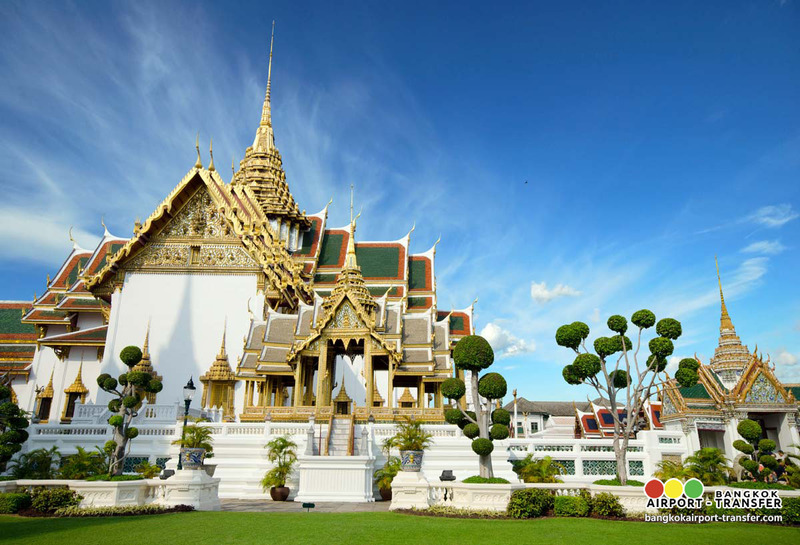 The Grand Palace served as a significant royal residence until 1925 and is now used for ceremonial purposes only. 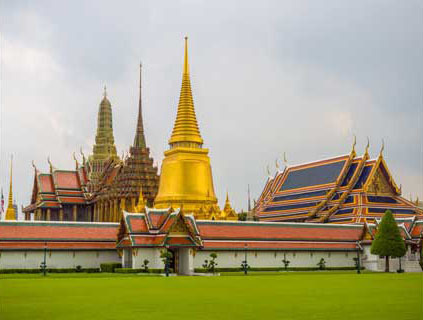 The Grand Palace is divided into three main zones: The Outer Court, home to royal offices, public buildings and the Temple of Emerald Buddha; the Middle Court, which is where the most important residential and state buildings are; and the Inner Court, which is exclusively reserved for the king, his queen and his consorts. 12:30 City-sightseeing tour along Ratchadumnoen Rd. (The Royal’s Way). 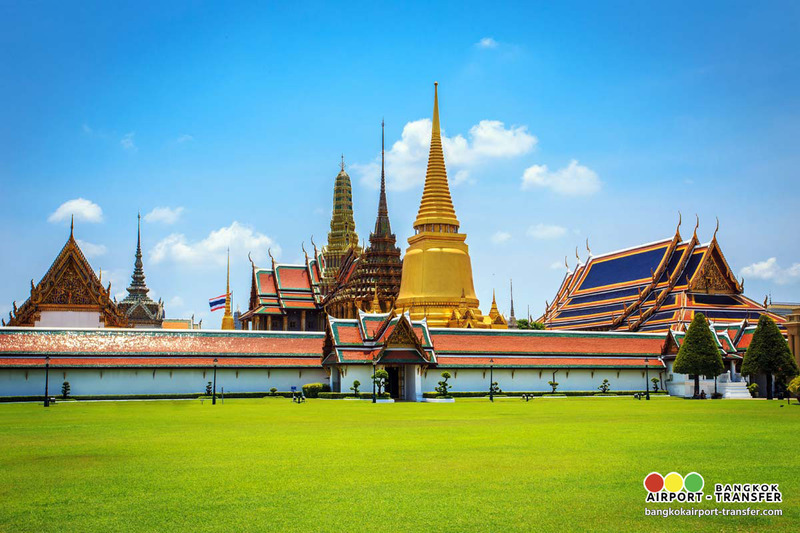 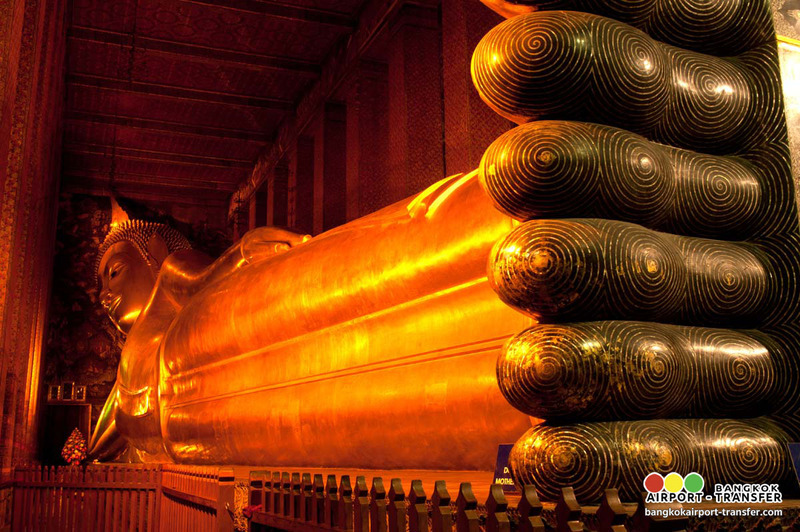 En route you can see many magnificent temples and architectural buildings, including the City Pillar Shrine, National Museum, Democracy Monument, Golden Mountain, Thai Boxing Stadium, Anantasamakhom Palace, Parliament House, Dusit Zoo and Chitlada Palace King’s Residence.